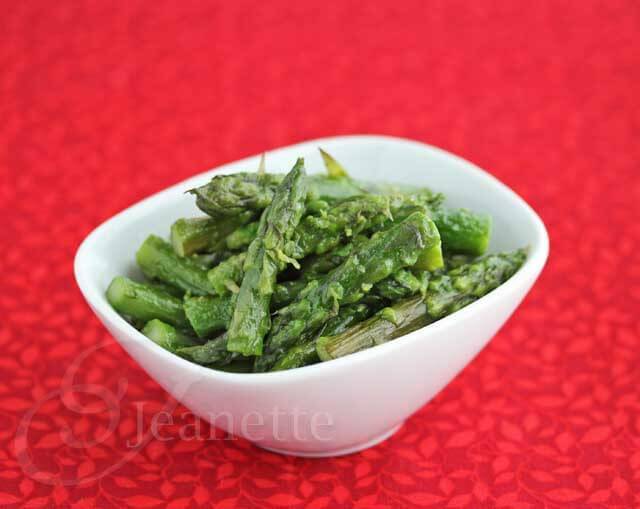 Low Residue Diet recipes can be flavorful – these Braised Asparagus Tips infuse flavor into vegetables while sticking to this strict diet. This method works well with almost any vegetable. 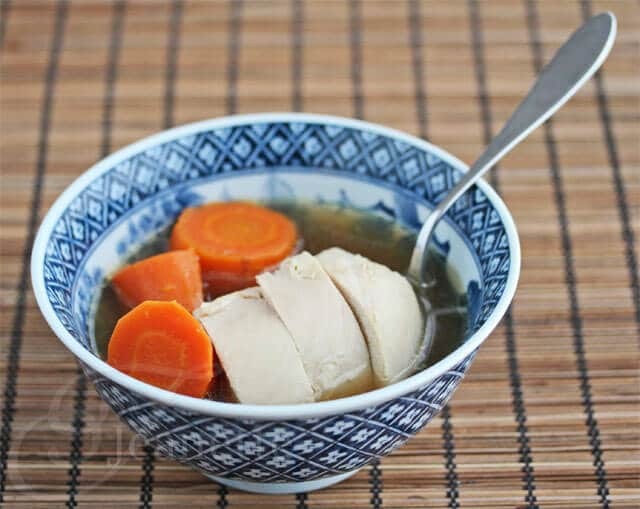 Today, I’m sharing another Low Residue Diet Recipe. 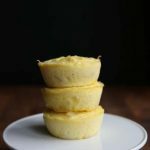 I hope this recipe will inspire those on this special diet to try something new and different, and put the fun back into eating. 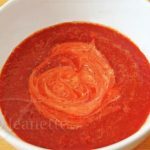 I wrote a post on the Low-Residue/Low-Fiber Diet a while back where I posted a recipe for Beet Carrot Soup and a Chicken Asparagus Pasta Soup. 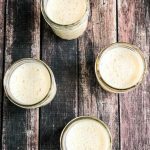 People on the low residue diet have used that post to share what they are eating while they’re on this restrictive diet in the comments section. 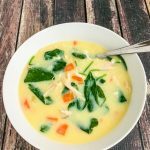 I wrote my first post on the low residue diet based on my experience cooking for a woman in our community who was recovering from a difficult surgery. She was put on an extremely restrictive Low-Residue Diet for a month after her surgery. Initially, she was only permitted to eat well-cooked carrots, asparagus tips, white potatoes, iceberg lettuce, white rice, white bread and tender meats. She was also allowed to have canned fruits or applesauce. No skin or seeds were allowed in any of the vegetables or fruits. Margarine, low-fat salad dressings, and dairy products (in limited amounts) were also permitted. Although her dietary requirements were not the healthiest, it was the only food her body could handle. Fortunately, like most people on the low residue diet, this was just a temporary diet. She was able to return to a normal diet within a month or so. 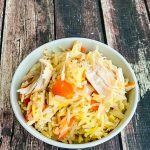 Today, I’m sharing a different preparation for vegetables that might help people on a Low Residue Diet mix things up a bit and make mealtime a little more interesting. After all, when you’re on your way to recovery, mealtime is something we all want to look forward to. 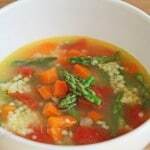 Vegetables braised in flavorful broths soak up some of the aromatic flavors, as they cooked over low heat. Think of potatoes and carrots cooked in a beef or chicken stew. In the case of a Low-Residue Diet, the vegetables need to be cooked until very tender. Braising simply means cooking in a liquid over low heat. Tough cuts of meat and fibrous vegetables like carrots and other root vegetables are especially suited for this cooking method. Food comes out very soft and tender, and easier to digest, which makes braising a great way to cook for the Low Residue Diet. Herbs (thyme, rosemary are nice choices) can be added to the braising liquid (broth or water), adding another layer of flavor infusion. The herbs are placed in a piece of cheesecloth and tied with string to infuse the broth with flavor without all the bits and pieces that must be removed later on. 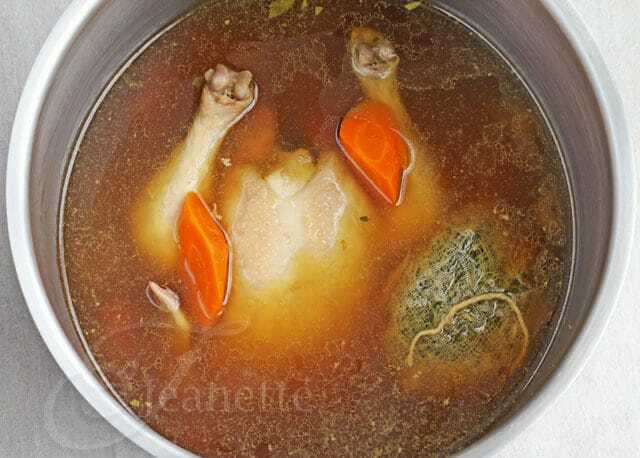 Make sure to retrieve any bits and pieces of herbs that are floating around and strain the remaining braising broth to accommodate the Low-Residue Diet restrictions. Asparagus tips and potatoes cooked using this braising method were surprisingly flavorful. The potatoes were especially good, absorbing the thyme scented braising broth. Bring chicken broth and olive oil to a boil. Add lemon peel and asparagus tips. Cover and cook on medium heat for 3-4 minutes until tender. Remove lemon peel before serving. Only the tips of the asparagus are permitted under the Low Residue Diet. I reserved the asparagus stems and cooked them separately for the rest of the family. 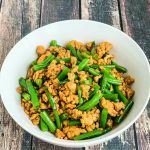 Join the forum in this post on the Low Residue/Low Fiber Diet where people are sharing their experiences and food ideas. 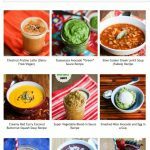 For more Low Residue Diet Recipes, I’ve created a Pinterest Board collecting recipes that can adaptable for the Low Residue Diet. 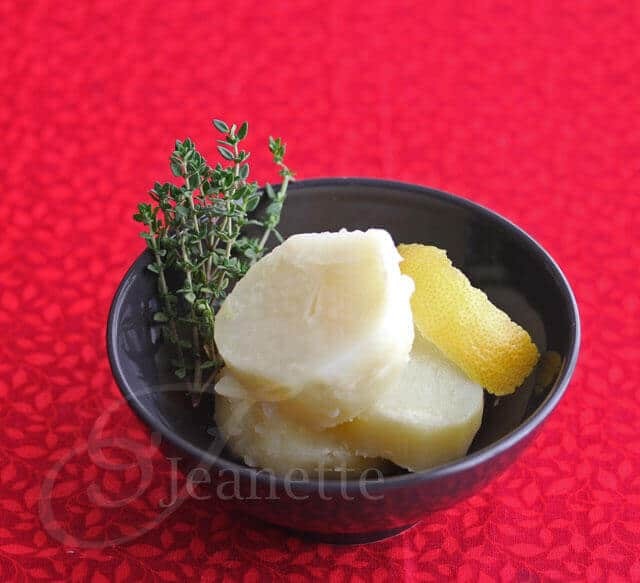 Great recipes, Jeanette! 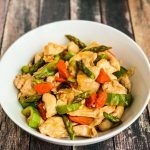 I have clients who have to follow a low residue diet for long periods of time, and these recipes will help me make things tastier for them. Thanks so much! Thanks Lisa. The Low Residue Diet is so tricky. I’ve came up with these recipes for a friend I was cooking for. Hope they’re helpful. So right Jeanette. Six year vegan over here, always thinking about nutrient dense foods. However; perpetual problem with abdominal adhesions, and have to think about low residue foods for a month or so. Overwhelming to say the least. I am happy to have found your website. I don’t have a pinterest account. 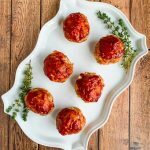 Carmi – if you create a Pinterest account, you might find additional recipe inspiration. This diet is one of the most difficult I’ve come across, so I find visual inspiration helps. Your friends are so lucky to have you!! Wonderful, wonderful advice, and this is a recipe I would eat daily!! Thanks Kim – I really enjoy cooking for people who are in need of it most, and love the challenge of figuring out tricky diets. I’m a Pescatarian and have recently been put on a LRD. Do you think this would work with seafood and still have enough flavor? I’m really struggling with my food options since I do not eat meat and can’t eat most vegetables anymore!! Teresa, if you’re cooking fish, instead of cooking it in a liquid, you could drizzle the fish with a little olive oil, tuck in some fresh herb sprigs, season with salt, and wrap it in parchment paper or foil, and bake it; remove the herb sprigs and any pieces of herbs that might fall off during the cooking process. Another way to prepare fish is to steam it Chinese style. 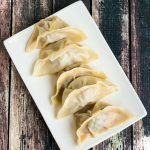 Here’s the recipe: https://jeanetteshealthyliving.com/2014/04/chinese-steamed-fish-with-soy-sesame-sauce.html You will want to remove the ginger and scallion after steaming. You can do the last step of placing fresh scallion on the fish before pouring the hot sesame oil on top, just remove it before eating.